Maxwell has been getting back into the routine of going to preschool. Although he is not there all day, being a active 2 year old can take its toll and Maxwell often comes home hungry. 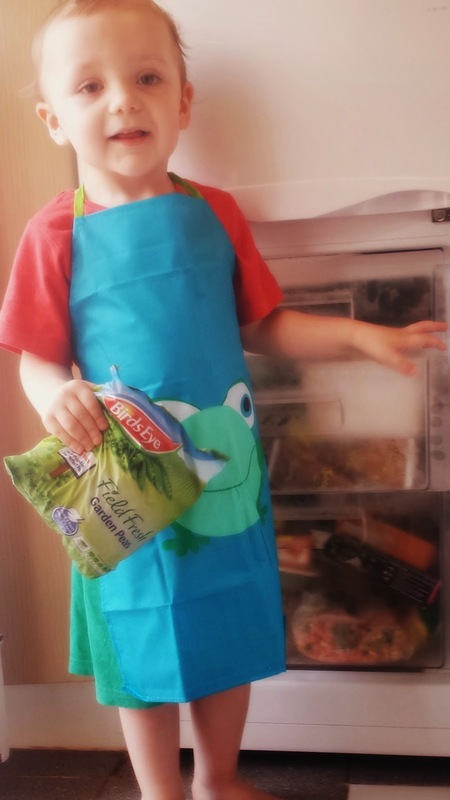 A few weeks back Birds Eye sent Maxwell and I some vouchers, we were asked to come up with a special meal that showed us getting back into our tea time routine using Birdseye products. 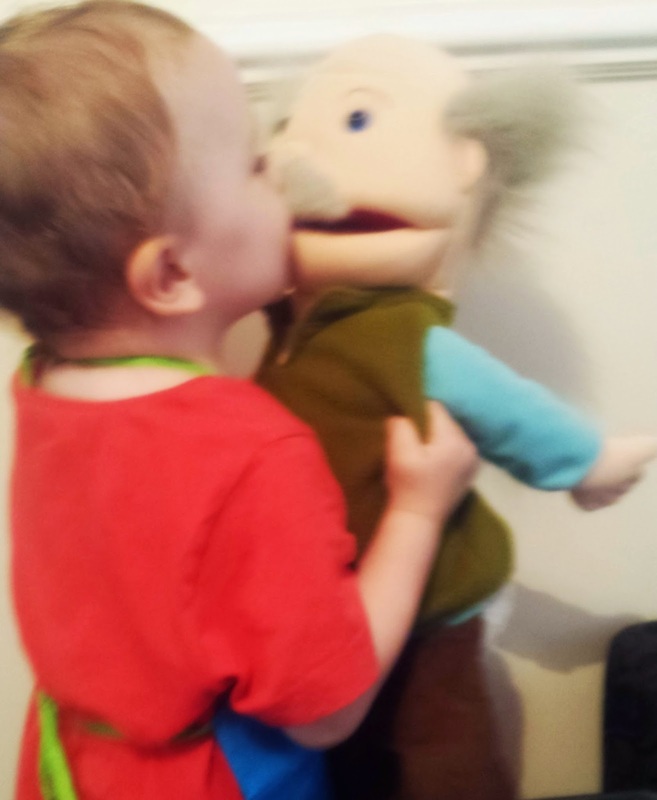 Maxwell decided that he would love to invite Grandad round for dinner to celebrate his first month back at preschool. Birds Eye products will hopefully leave you feeling pleased! Grandad accepted Maxwell's invite and Grandad came round tonight for tea. Maxwell wanted to fix Grandad up a meal quickly so they could spend the rest of the evening playing. Maxwell decided to cook Grandad waffles, peas and chicken fingers with a side of healthy salad. Maxwell carefully laid the chicken fingers on the tray as well as the waffles. 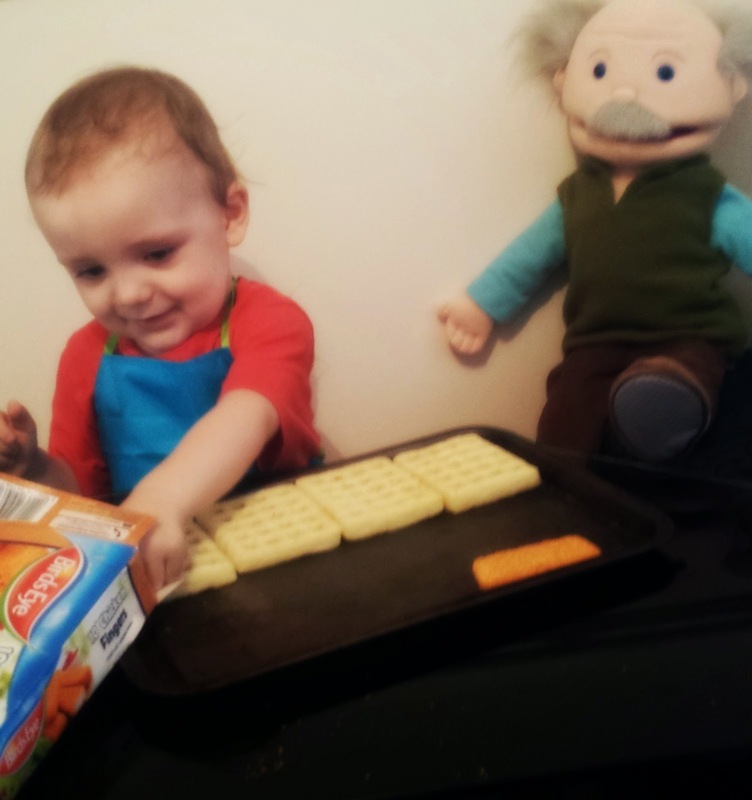 Grandad asked Maxwell if he could count the food onto the tray which Maxwell did with great success. 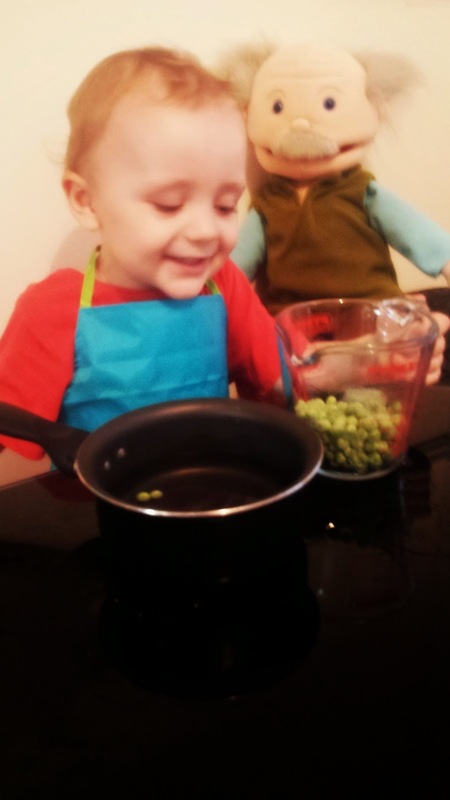 Maxwell then carefully measured water out in his measuring jug and then poured the water into a saucepan, Maxwell then added peas into the saucepan. With a little help Maxwell put the tray into the oven and the peas on to the hob to cook them. I then turned the oven and hob on to ensure Maxwell did not burn himself. 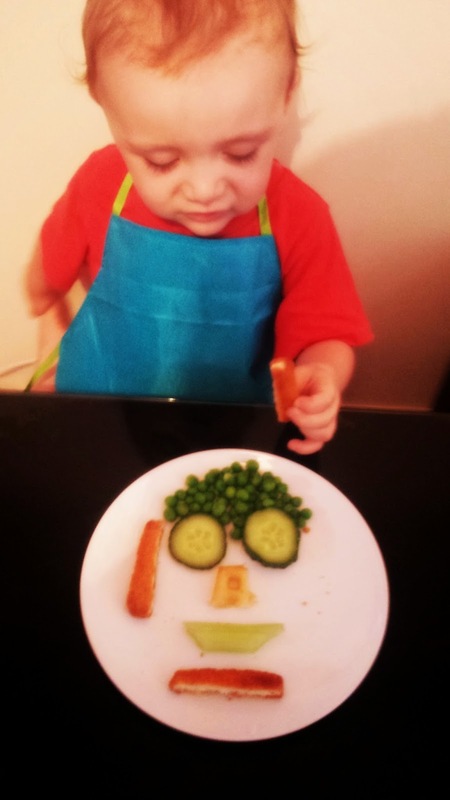 Whilst Maxwell and Grandad awaited for their food to be cooked, I gave them both a plate to make a funny face out of salad, Maxwell loved doing this and before he got to eat his tea he decided he would like to snack on his favorite salad. After a short while the food was ready and Maxwell decided to arrange the meal on to the plate for Grandad and him to enjoy. Maxwell decided to create a funny face with Birdseye peas, Birdseye chicken fingers, Birdseye Waffles and some cucumber. 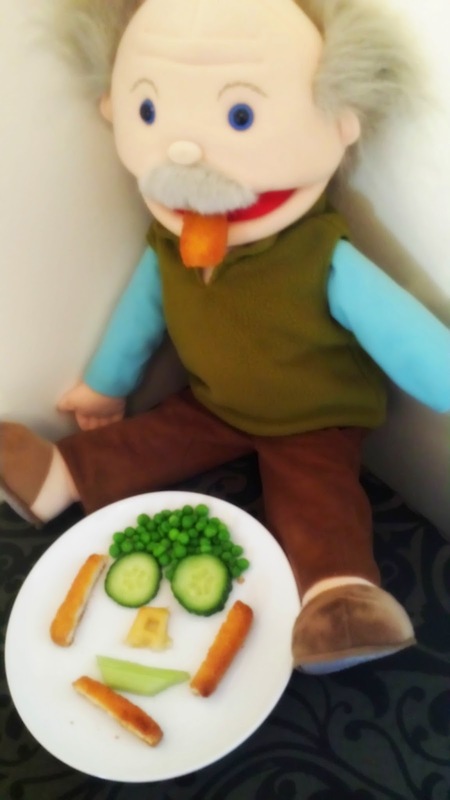 Grandad commented that he was not sure on the peas however after a little persuasion from Maxwell, Grandad ate all the pea's up as well as his tasty dinner. Maxwell was ever so pleased with the dinner that he made Grandad. He was proud that the dinner had been a great success and was extremely happy that it had not taken long to cook as this let him and Grandad have lots of play time before bed! Birdseye have always been a great family favorite of mine and I am able to say that I have tried over 70% of there products. Birds Eye ensure they sell a wide variety of products, for different tastes at competitive prices. Since eating Birds Eye products I have not found any nasty bits in them and I have been incredibly impressed by them. Awwwwww I have seen a few of the Birds eye posts and this one is just the most adorable!! 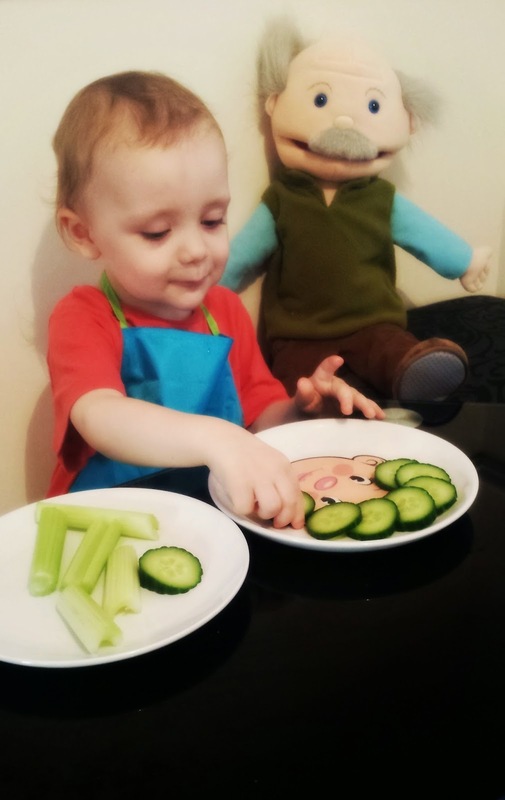 I love Grandad and I can see max being encouraged to eat well with a fab idea! Fantastic post and such an awesome looking meal. Our kids love to play with food too. How sweet and a great way to get Maxwell involved with cooking his dinner. lovely post - Maxwell looks like he enjoyed cooking! Awww I love Grandpa! 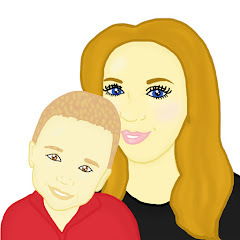 Max looks super cute as well! Love that funny food face! What a great post. Birdseye do some great foods. Awww! This is just so cute. Looks like Max had tons of fun. HAHA, the photo with the carrot in his mouth just made me laugh out loud, so cute! Aww great post!! Love this, such sweet photographs! Great getting kids in touch with food at a young age. this is such a sweet post! loved reading about it, really cute!